Marvel’s Feige: There May Not Be A 'Phase Four'!! May Not Be A 'Phase Four'!! “Certainly as we get to Infinity War there is a sense of a climax if not a conclusion to, by the time we’re at untitled Avengers IV, the 22 movies that will have encompassed the first three phases of the MCU. And what happens after that will be very different. I don’t know if it’s Phase 4, it might be a new thing,” Marvel movie chief Kevin Fiege tells the Collider website. Does this mean retiring Robert Downey Jr., Chris Hemsworth, Chris Evans and the rest -- and rebooting the Marvel Cinematic Universe with younger actors playing Tony Stark, Thor and Steve Rogers, in Marvel movies released subsequent to May 2019’s untitled fourth Avengers movie? 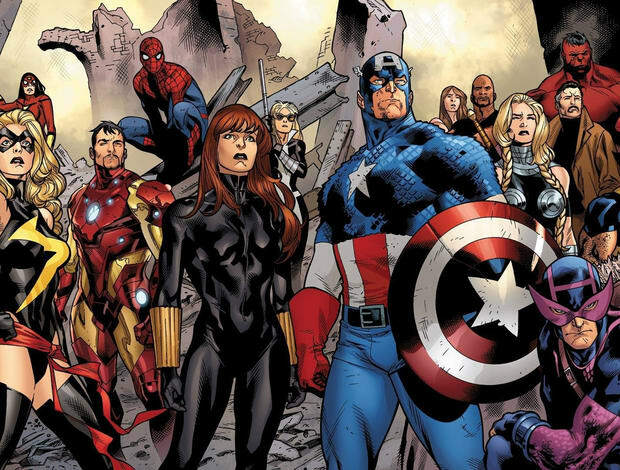 Or will Spider-Man, Jessica Jones and Star-Lord be the only heroes alive at the end of the fourth Avengers? “We have an idea [of what the MCU looks like post-Infinity War], and it’s gonna be very, very different,” says Feige. Find all of Collider’s story on the matter here.